I have been using the new Jobamatic –> Simply-Partner for a few months now and have some thoughts on it. I was concerned about the lack of mobile support and the un-customized Post a Job page. So I asked them more about their future plans. Their answers below. 1. The Post Job for each of my sites does not carry over the look and feel of the new look. Will this ever be addressed? Yes, in the future we will make that more customizable. For now if you use a logo on the job board you can add that so it shows on the job post flow. I set this up for the 99tempjobs for you. Basically go to JOB SITE SETTINGS > DESIGN & LAYOUT > HEADER. Click the radio button on the left CUSTOMIZE OUR TEMPLATE. You’ll see where you can add a logo on the right – upload the logo you want to use, click the button REPLACE JOB BOARD WITH YOUR LOGO (that should say job board name – just reported that!). Then click PUBLISH. Then go back to those radio buttons on the left and click the button IMPORT YOUR OWN HTML. Your code will still be there – just click PUBLISH. Now when you go to the job posting page you’ll see the logo: https://99tempjobs.simply-partner.com/simplypost/post-job/. For now, you can’t change any of the colors or anything else on that page. 2. The new layout is not mobile responsive, are there any plans to make it so? 3. Ive heard from others that the old Jobamatic sites can still be found online, is that true or have all those domains been completely removed? We are closing ALL jobamatic accounts. There are literally thousands of them, so they are being done in waves. Are they all closed right now? Nope. Will they all be closed? Yes! Here’s a look at my earnings which are rather meager at this point. I only have a few sites left the best of which is UAVjobbank.com but I plan on adding a few more sites to the mix soon so I will keep posting my earnings every now and then. 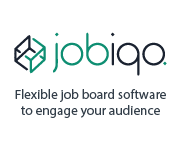 There’s a new WordPress job board in town and its name is: WPJobus. It’s $58 and available for download on Themeforest. 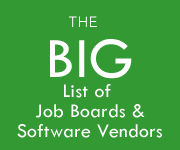 The developers emailed me recently and since I’m a sucker for new job board technology I was glad to mention it here on Job Board Secrets. This theme is completely made in WordPress so you can run it just like any other blog. 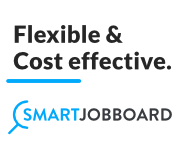 We probably shouldn’t brag, but we seriously think that it is the most complete and easiest to use job board out there. You can register your company, post jobs, curriculums and many other amazing things. One of our favorite details about this theme though is that it lets you hide the menu bar. This makes your company profile and you resumé even more professional. And all this for a microstock file price. You can purchase it on ThemeForest and within a couple of clicks your website is ready to rock! 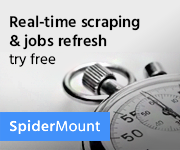 Want more jobs on your job board? 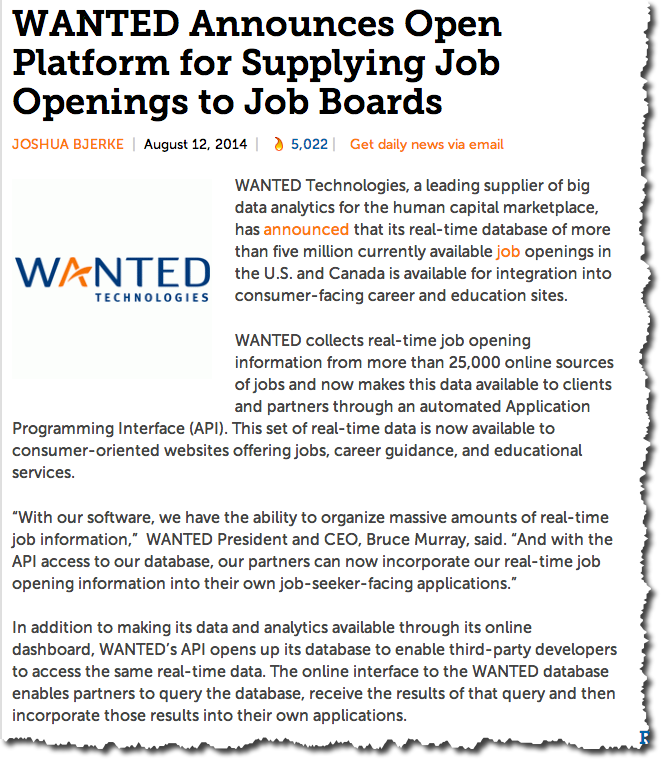 Well Wanted Analytics, the company which collects jobs from across the web and analyzes trends has announced that it is publishing an API so that job boards can tap into its more than 5 million listings. The story appeared on Recruiter.com. I’m not totally sure where they get all their listings but it appears from the little information there is that they crawl corporate career sites. But if they truly have 5 million jobs thats an attractive tool for anyone who wants to aggregate listings on their site. Here’s the link on their site but it doesn’t have much other info on the API. Guess you’ll have to contact them. I asked the folks at SH more about the upcoming Jobamatic changes. If you have multiple accounts you should wait to switch until the 2nd half of august for when they roll out parent/child account support. When a partner applies for the new partner platform, we will review the application within 2 business days and if approved, they will be able to start using the solutions immediately. 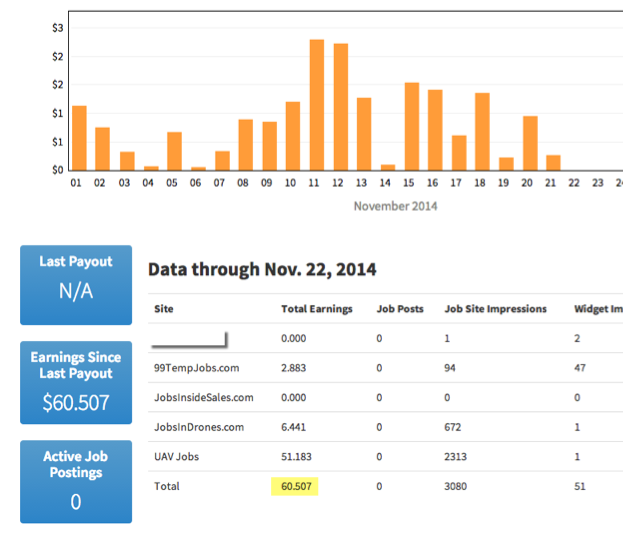 The jobs index is not changing from Jobamatic to the new Simply Hired Partner Solutions. Partners continue to have access to our index of over 6M jobs and can expect comparable earnings. 2. On that note what is the average EPC for sending traffic to SH? .05-.10 cents….? Each partner’s revenue potential drastically differs based on the type of jobs that their audience clicks on. No partner is the same. 3. Are all the jobamatic domains disappearing as of sept 30? All Jobamatic partners need to re-apply for the new platform if they wish to continue using our partner solutions after September 30th. Once they are approved and have migrated their sites to the new platform, we will close their Jobamatic account and pay out any remaining Jobamatic earnings balance. If a partner does not wish to migrate platforms, no longer wants to utilize our partner solutions, or does not adhere to our terms of service, we will close their Jobamatic account by September 30th and schedule payment of any remaining balance to the payment info on file. 4. What are new features in this version? Flexible customization: Partners can easily customize the hosted job search experience to precisely match their site’s brand and aesthetic. 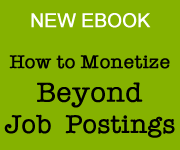 Job listings are seamless to each site’s unique audience and advertisers to ensure an optimal experience for all users. 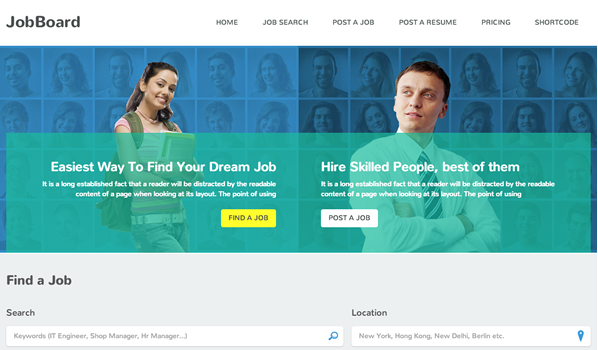 Partners can directly sell job postings on their own site. These postings are guaranteed premium placement to maximize visibility and drive new revenue. Expanded library of job widgets: Partners can surface contextually relevant jobs anywhere on their site to target passive job seekers broadly across their website. Thanks to one of my readers (hat tip Jason Pedley) I was tipped off to new plans by SimplyHired to revamp/replace the venerable Jobamatic software platform. As of September 30th, Jobamatic will go away to be replaced by Simply-Partner. I’m also told by their PR department that they will finally be adding support for managing multiple sites under one account, a feature that has been long sought after by many Jobamatic users. Though the “parent/child” support as they refer to it, wont be available until probably the end of August. Existing Jobamatic users must signup under the new platform. Any balances under the old Jobamatic will be paid out. I have some additional questions waiting to be answered so I’ll be posting more on this story but I wanted to get this news out ASAP. 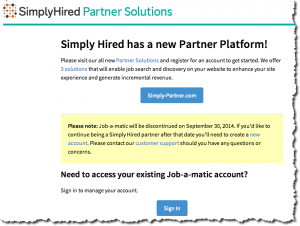 Sunnyvale, CA – July 23, 2014 – Simply Hired today unveiled its new Partner Solutions for premium web sites. The enhanced offering introduces new capabilities to give qualified partners a robust, turnkey solution to enable job search and discovery on their digital properties. The new offering is fully customizable to integrate with any site’s look and feel, and can be implemented in minutes to drive audience engagement and incremental revenue. Leading media sites, including Washington Post, Fox Business, Bloomberg Businessweek, Computerworld, and vertical leaders like International Nurses Association and Hero2Hired, use Simply Hired Partner Solutions to provide their users with high value, relevant job listings within their native brand environments. These high-quality job search experiences leverage the same data science, innovation and powerful algorithms that deliver the most relevant jobs to more than 30 million unique visitors each month on SimplyHired.com. – Flexible customization: Partners can easily customize the hosted job search experience to precisely match their site’s brand and aesthetic. 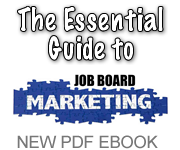 Job listings are seamless to each site’s unique audience and advertisers to ensure an optimal experience for all users. 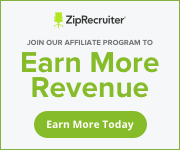 – Revenue optimization: Partners can directly sell job postings on their own site. These postings are guaranteed premium placement to maximize visibility and drive new revenue. 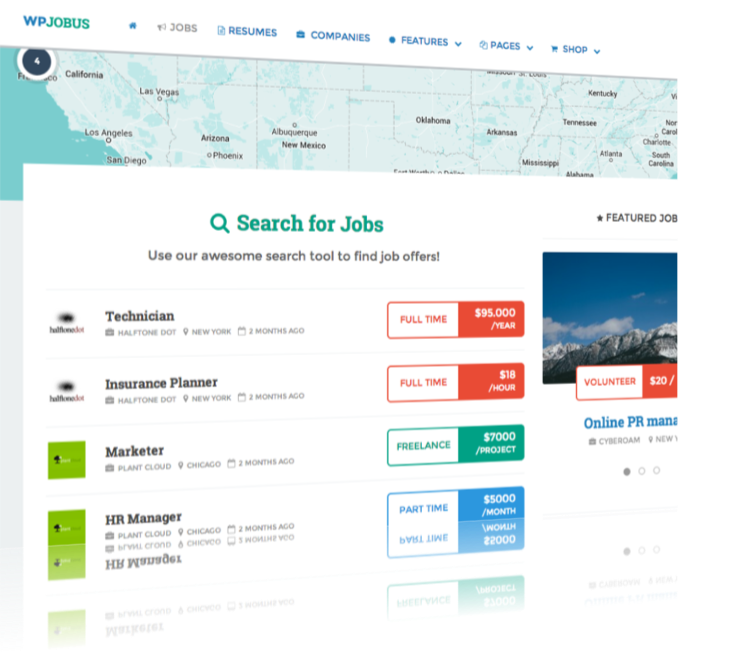 – Expanded library of job widgets: Partners can surface contextually relevant jobs anywhere on their site to target passive job seekers broadly across their website. In honor of small business week the folks at Indeed put out a video which shows some behind the scenes action at the job board juggernaut. They seem to put in a lot of effort in outreach and customer service. You might learn a thing or two for your own team from this short video. The Stamford Connecticut based company is also rolling out their first ever TV commercial in the US/UK. Check it out. Found this cool new job board theme built off twitter bootstrap so its mobile friendly. Check out this live preview. 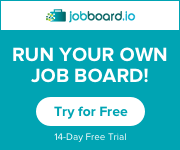 I’ve been chatting with quite a few users of Jobboard.io recently and as a fan of the new platform myself I’ve picked up some tips and tricks that been useful in configuring these sites for optimal use. 1. Use the Adsense header block for text not ads. In the example below it gives you another chance to add keyword related text to make your site more search engine friendly. Use the horizontal rule tag to finish it off for a better look. 2. Start a blog. Since you cant really add more pages to your site beyond the About & Contact pages a blog is a great way to expand your site. Just set it up on a subdomain like blog.yoursite.com and link to it from the sidebar and footer on your jobboard. Fill it with content job seekers like. 4. Add enough categories. For whatever niche you serve be sure to add the different types of job categories so employers can properly classify their postings. You can play around with backfill setting by studying the Indeed xml rules or by using their advanced search function. 6. About page, add plenty of text. 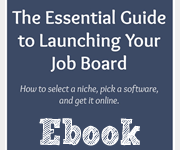 Write the niche your site targetgs and tell employers why they should post with you. Fill it up with at least one page worth of text. 7. Add more keywords in the copyright. 8. Don’t forget the sidebar. Another chance to add more keywords. 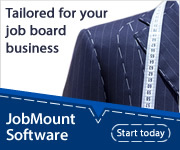 You can even embed your own banner ads and sell them as space to employers for more exposure. Jobboard.io sites are very text heavy so the side bar is a good place to add a few more images to give the site a more balanced look. Imgur.com is a good place to store the images for easy access. They give you easy ways to embed any image. Here’s a new mobile friendly wordpress plugin for job boards. Its one of the more elegant designs I have come across. Download it here for $55.